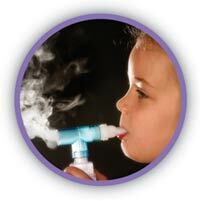 Asthma Training | Hartbeat Training, Consultancy & Training Rooms, Gympie. Training to qualify to administer Asthma Medication as first aiders at a workplace, sporting , recreational or community event. The Queensland Government has issued a recent amendment to the Health Regulations, in that persons who wish to administer Asthma Medication (salbutamol and terbutaline) as first aiders at a workplace, sporting , recreational or community event, MUST HOLD a certificate or document issued by a training provider that identifies their successful completion of a course of training. The certificate must be also be viewed when purchasing the above mentioned medications. Hartbeat Training is holding training courses for this new regulation. For further information please phone or email Cindy Hartwig for more information about the Asthma Training Course.